Physical Therapy, Bike Fitting, and Wellness Services in a 1-on-1 setting with Paulie Glatt, DPT. We have teamed up with Element Boxing and Fitness in St. Paul and now have access to a full gym! Specializing in sports injuries, back and neck pain, bike fitting, balance training, and exercise prescription. Enjoy full 1-hour sessions with the same physical therapist at each session. Our mission is to help you move better so that you can feel better. WE ARE A CASH-BASED THERAPY CLINIC. Believe it or not, this can save you money! With deductibles and co-pays continuing to increase, we cut out the so called middle man (insurance companies) and focus on your needs, as opposed to the needs of the insurance company. Certified in bike fitting through BikePT, the definitive education source on bicycling related injuries, treatment, and bicycling biomechanics for healthcare professionals. 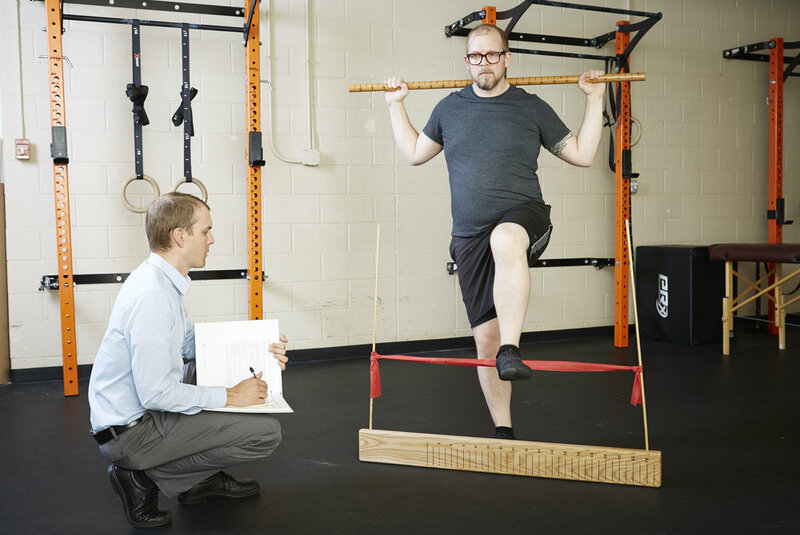 Dr. Paulie Glatt is a graduate of the University of Minnesota with a Bachelor of Science in Kinesiology and a Doctorate of Physical Therapy (DPT). Paulie has experience working with all ages in orthopedics and sports therapy, as well as neurologic physical therapy that includes balance and gait training. Please tell me about your experience. What did you like and what could improve? Thank you!